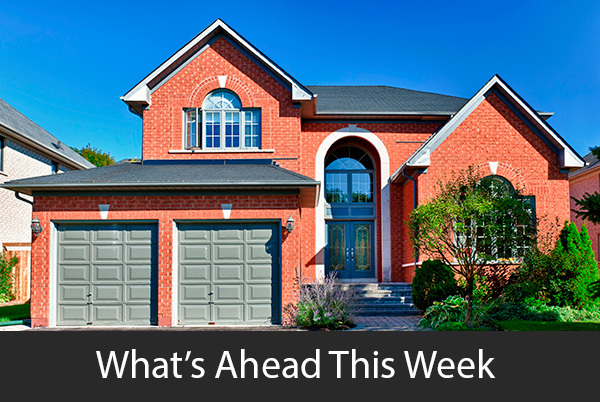 Last week’s economic reports included Case-Shiller’s Home Price Indices, readings on new and pending home sales and Freddie Mac ‘s weekly mortgage rates report. Weekly jobless claims and reports on inflation and core inflation were also released. 90 percent on a seasonally-adjusted annual basis as compared to June’s reading of 5.80 percent. The top three cities in the 20-City Home Price Index were Seattle, Washington, Portland, Oregon and Las Vegas, Nevada. Home prices are responding to high demand for homes and limited inventories of homes for sale. Although this trend has persisted in the last few years, lower readings for sales of new homes and pending home sales were lower in August. Analysts said this could indicate that home prices are topping out due to affordability and few homes for sale. New home sales fell to 560,000 on a seasonally-adjusted annual basis in August as compared to July’s reading of 580,000 sales. While real estate pros and economists look to pending home sales as an indicator for future closings and mortgage originations, August’s reading slipped lower into negative territory with a reading of – 2.60 percent. July’s reading for pending home sales was – 0.80 percent. Freddie Mac reported no change in average fixed mortgage rates. 30-year fixed rate mortgages had an average rate of 3.83 percent and 15-year fixed rate mortgage rates held steady at an average of 3.13 percent. The average rate for a 5/1 adjustable rate mortgage rose by three basis points to 3.20 percent. Discount points averaged 0.60 percent for 30-year fixed rate mortgages and 0.50 percent for 15-year fixed rate and 5/1 adjustable rate mortgages. First-time jobless claims rose by 12,000 to 272,000 claims. Analysts expected 270,000 new jobless claims; 260,000 new claims were filed the prior week. Inflation rose by 0.10 percent in August, which matched expectations and was lower than July’s growth rate of 0.30 percent. Core inflation, which excludes volatile food and energy sectors, was unchanged at 0.10 percent and fell short of expectations of 0.20 percent growth in August. Next week’s scheduled economic reports include readings on construction spending and labor-sector reports from ADP Payrolls, Non-Farm payrolls and the national unemployment rate for September. Weekly readings on mortgage rates and new jobless claims will also be released.